The same features that have allowed our brains to adapt to changing conditions, have also made it very difficult for us to make absolute estimates about time and value. In this webcast we'll look at how relative sizing and real world data can greatly improve the precision of the estimates we make. We'll look at why agile projects should estimate value as well as time, and explore techniques that will allow us to create useful software as early as possible in a project. This webcast will be of value to anyone running or working on an agile project. Project leads will learn effective ways of tracking and predicting progress. Developers will learn how to avoid being trapped by unrealistic estimates. Customers will learn how they can derive the maximum possible value from the project. 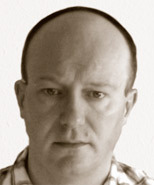 David Griffiths has worked on agile projects since 2004. As an agile coach, he has worked with companies across the United Kingdom and Ireland in banking, telecommunications and transportation. He is also the author and co-author of 4 books in the Head First series.